NEPAL. Achham District. 2004. 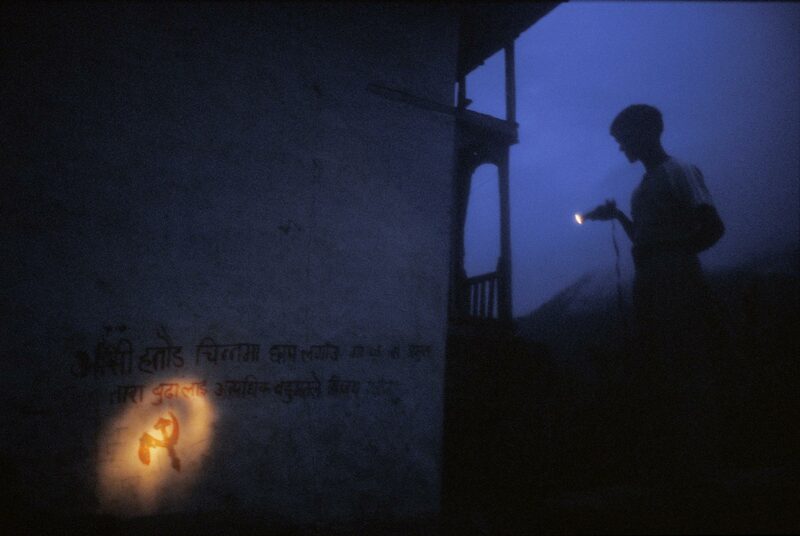 Large groups of Maoist cadres and soldiers often travel by night to avoid detection by the government's forces. Nepal is prime territory for guerilla warfare, with hardly any roads, electricity or modern communications widely available.